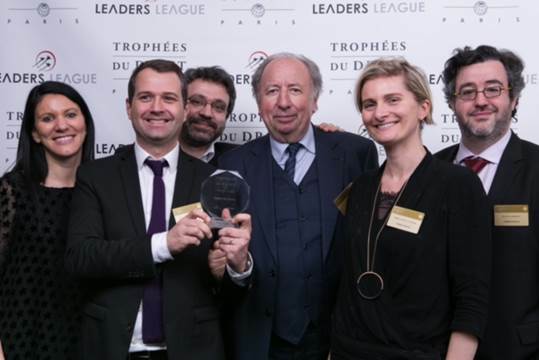 CELIA member firm Fidere Avocats were recognised as a French "up and coming" law firm in the category "Employment law: reorganisation, collective bargaining and restructuring" during the "Trophées du Droit" ["Legal Trophies"] ceremony in Paris on Friday, 17 March 2017. The "Trophées du Droit" annually honor the excellence of the most successful specialists in law. The competition is organized each year by Decideurs and Leaders league between Employment Law firms located in France. For more information on Fidere Avocats and to get in touch with them, visit their profile page here.